Do you want to make your promotional campaign hit and memorable? You should order these personalized rubber ducks printed with your name and brand logo right now! If you want to giveaway fun and stress buster promotional gifts, these bath toys easily fit the bill. Our selection features traditional yellow rubber duckies which are also industrial themed toys. Our price includes product, free online design proof, artwork assistance and your efforts to stand in the niche. Our fast production time and fast shipping within the USA will allow you to make impressions on your customers. 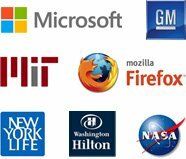 Do you want to make your brand information their source of pride? You should try to invest in a promotional gift that they and their kids will enjoy. There are promotional giveaways that match richness and softness of yellow rubber ducks. These rubber ducks are popular bath time toys used by children in US and they are loved by adults, too. Many kids and adults are fond of these rubber duckies which mean your brand information is going to become dearer to them. If you want to initiate a promotional campaign that will register lasting impressions on all recipients, these promotional giveaways for kids are perfect for you. 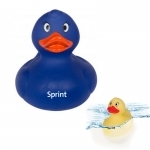 Logo printed rubber ducks are cute and they will help you to keep your customers engaged with your brand. We are sure that your clients will be delighted to receive an unusual promotional gift that allows them to relax and enjoy their bath time. Print your brand logo over these squeaky ducks in styles you want and gift them to anyone on your guest list. 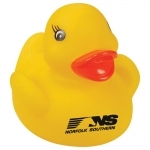 These logo rubber ducks will give you leads during corporate events, tradeshows and several other large outings. These rubber ducks possess that traditional and classic look that makes them perfect gift for party favors, baby showers, wedding showers, kid's birthday parties and other fun filled events. Give away these colorful rubber ducks to draw attention to your tradeshow booth and improve your personal goodwill. Nobody can resist these cute custom rubber ducks and they will easily become a billboard carrying your brand logo and slogan. 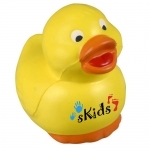 There are few styles of logo rubber ducks at Promo4kids.com. If you want to promote fire services and emergency services, there is a variety of custom fireman duck available. 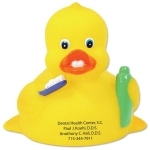 If you wish to promote your dental clinic, there is dental rubber duck available. 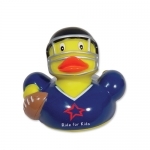 If you want to promote your recreational sports club or sports team, you can select those sports rubber duckies. You will love giving away these squeaky duckies to your customers because these easily fit into your budget and most of your customers will instantly like it. 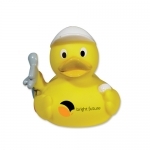 Ordering and customizing promotional ducks is easy with us. We are backed by promotional product experts who will help you to fix the design and order items for your next promotional opportunity. 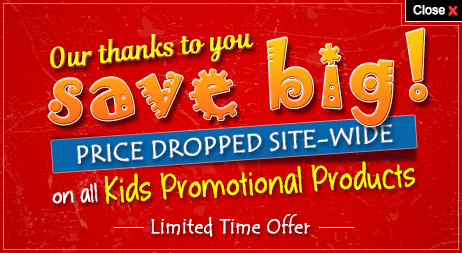 You can get in touch with them at 855-454-3786 or email us at info@promo4kids.com.